Dodie’s Cajun Diner at The Harbor is the perfect setting for your family’s Easter celebration, offering scenic, waterfront dining with the flair and flavor of the French Quarter. Start with $3 Mimosas, Bloody Marys, or Tequila Sunrises. Special feature… our famous Crab Cake Benedict at $13.99, or maybe try our Chicken and Waffles. 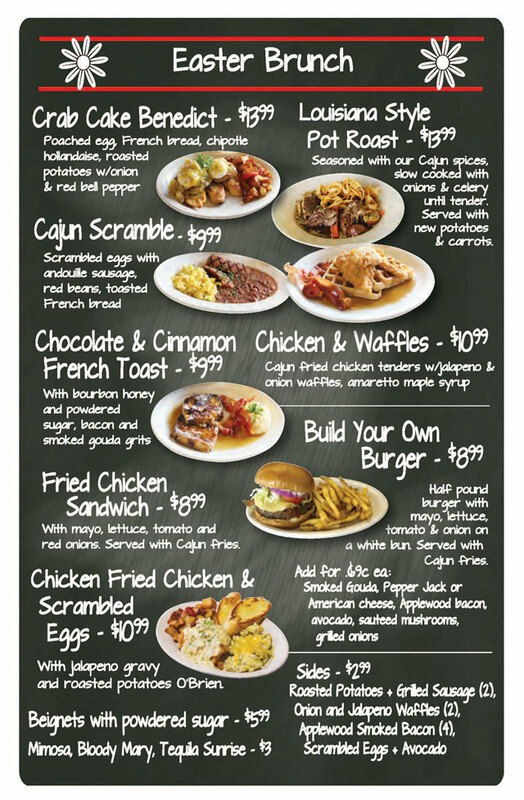 Check out all of the brunch items served 11am-2pm. 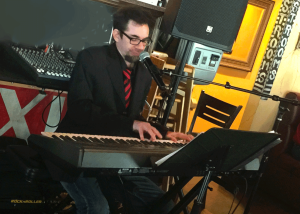 LIVE MUSIC by Sandy Bates 1-5pm.